Pamgrace Gachenge is pleased and eager to serve as the Vice President of Membership of GLAA. She works as an experienced relationship developer, healthcare advocate, and educator for seniors in the DC metropolitan area. She received a Bachelors of Science in Business Management: Human Resources at the University of Maryland University College in 2013. She currently holds the title of President/Director of Operations of Advanced Home Health Care Services in Rockville, MD. Her passion is to promote quality healthcare which is exhibited with dignity and grace. 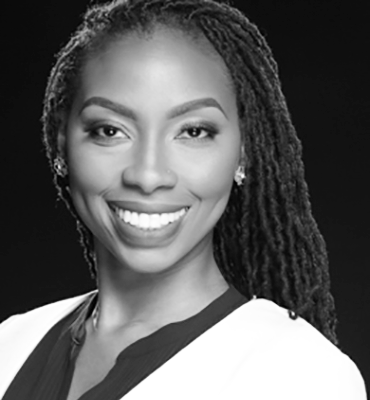 Pamgrace recently served as committee advisory board for Men Sexual Health Conference funded by Maryland Health and Mental Hygiene; Black AIDS Institute in 2015 and National Black Justice Coalition (NBJC)100 LBGTQ SLG Emerging Leaders. Additionally, Pamgrace is the Founder/CEO of Pause Project which is an 501 c3 non for profit organization that promotes sexual health HIV/AIDS, mental health, and mentorship for women and young ladies of color. Pamgrace looks forward to serving the community of the DC metropolitan area through recruitment of new members and building foundational relationships.